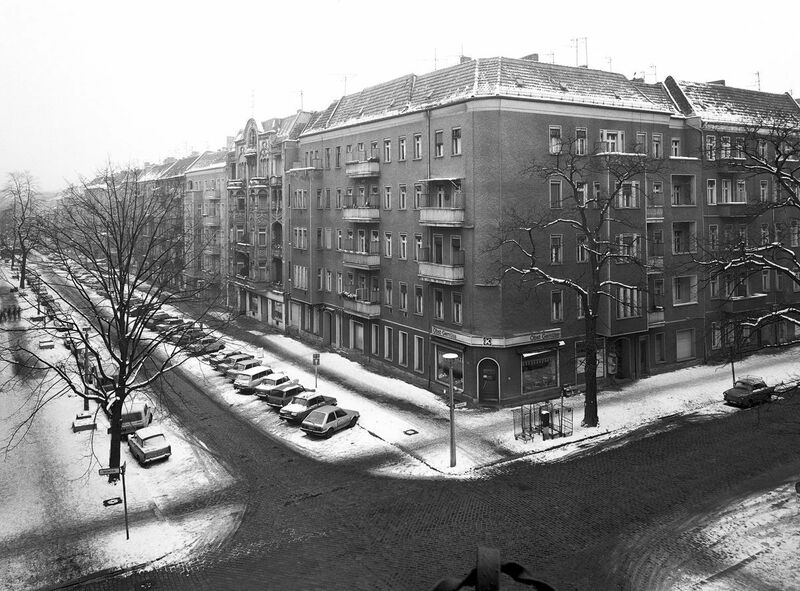 The first time Harf Zimmermann visited East Berlin’s Hufelandstrasse neighborhood, he sensed it was unlike any other neighborhood he’d known in East Germany. Linden trees lined the streets, as did many privately-owned shops, an unusual sight in a socialist state. 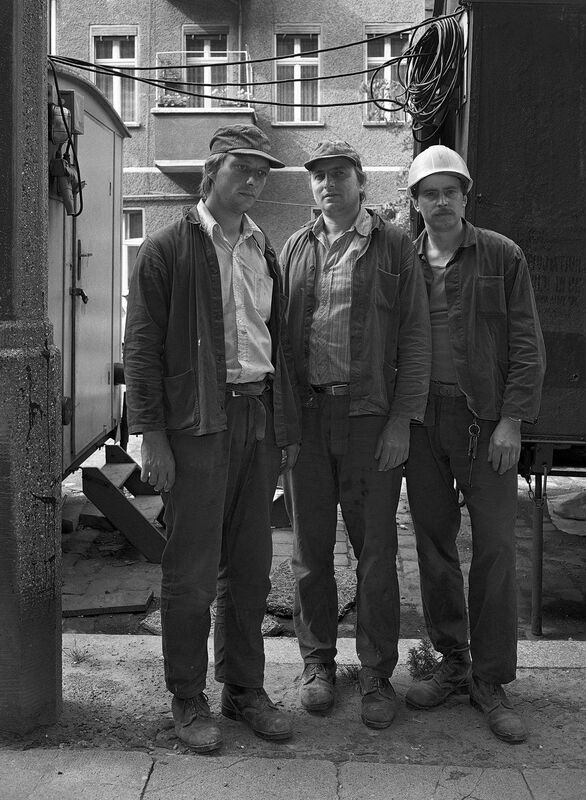 Mr. Zimmermann moved to Hufelandstrasse in 1980. 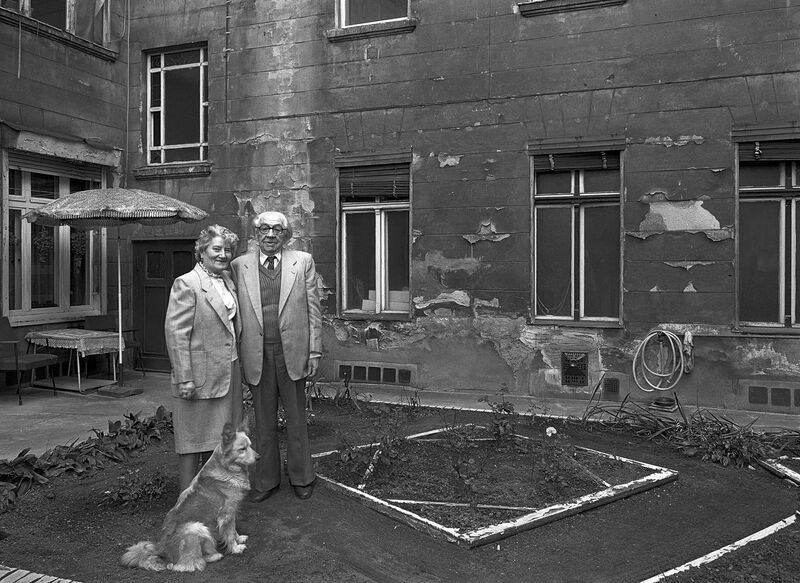 He was 25 years old and living in his first apartment, a small studio assigned to him by the socialist administration because he’d agreed to fix a gutter that sometimes leaked through the window. 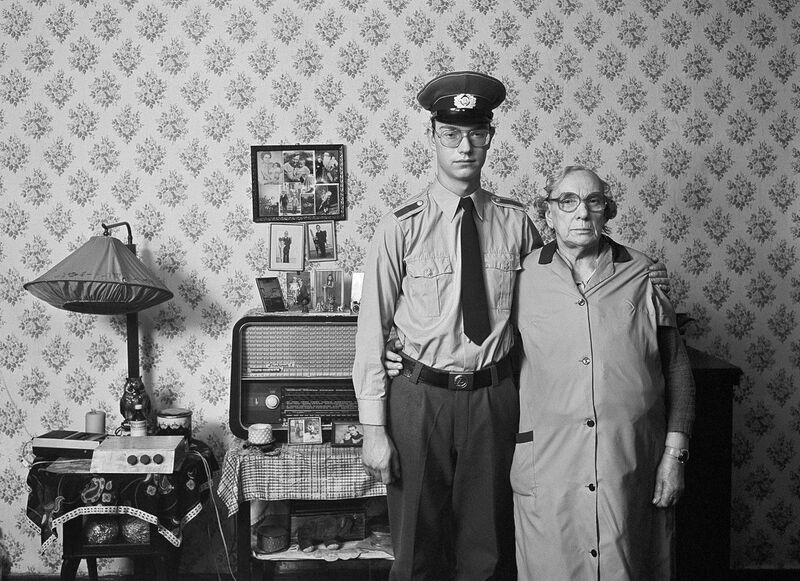 Two years later, he started studying photography at the Academy of Visual Arts in Leipzig. Inspired by Bruce Davidson’s book, East 100th Street, which cataloged a single block in East Harlem, Mr. Zimmermann began regularly photographing people and places in his own neighborhood. At first, he said, his neighbors found his creative endeavor confusing. 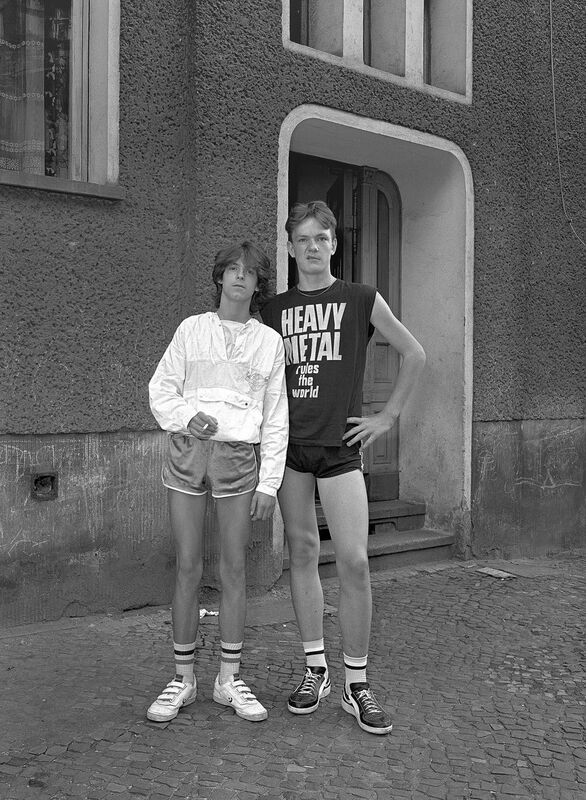 Whenever they’d seen a camera in Hufelandstrasse before, it was typically a newspaper photographer who wanted them to pose in ways that enforced prevailing socialist tropes. Mr. Zimmermann, meanwhile, just asked them to stand simply as they were. In 1986, he started shooting exclusively with a large-format camera, a practice he continued for the next year and a half. 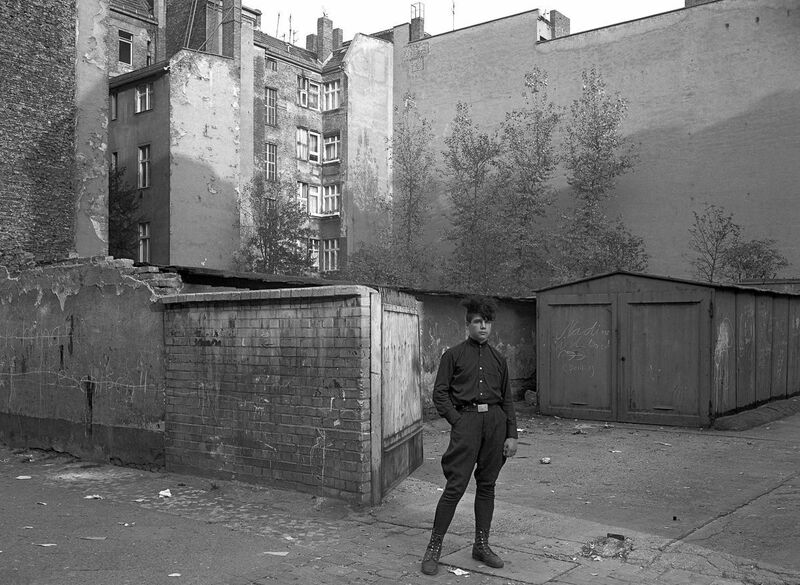 The photographs from that period are now collected in Hufelandstrasse, 1055 Berlin. 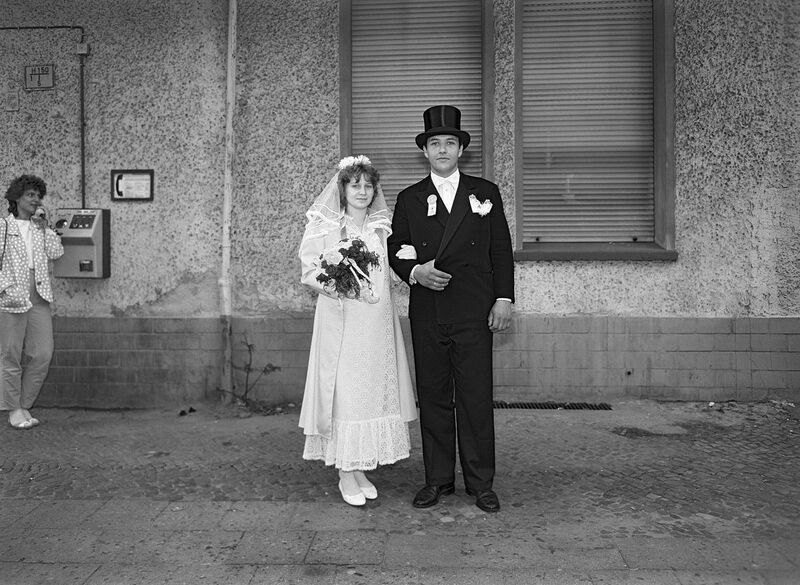 Herr and Frau Fleischer in their engagement outfits with their dog Putzi. 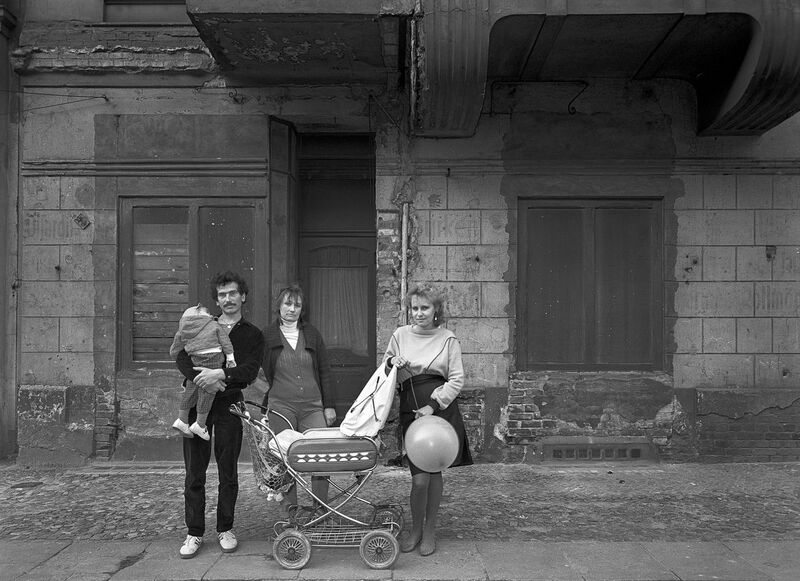 Frau Baer (center) with her daughter, her grandchild, and her daughter’s partner on the thirty-eighth anniversary of the founding of the GDR. My neighbor Frau Töpfer with her grandson René. 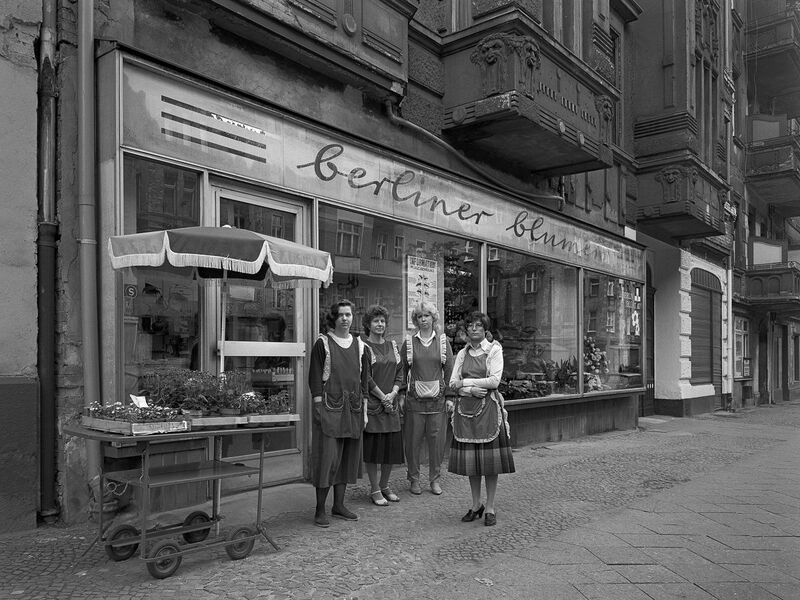 Employees of the cooperative “Berliner Blumen” (Berlin flowers), No. 18. Two students in the eighth grade. At the corner of Hufelandstrasse and Bötzowstrasse. 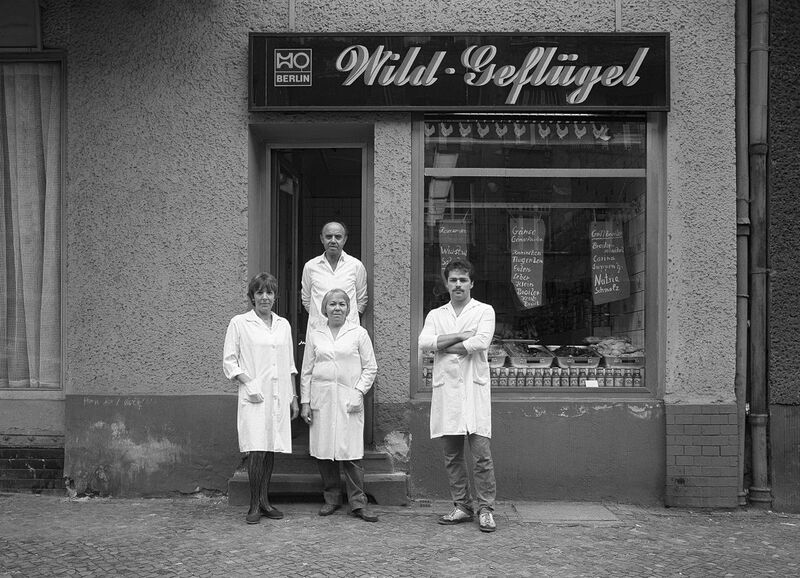 HO (state-owned “Trade Organization”) butcher “Wild Geflügel” (game, poultry), No. 10. 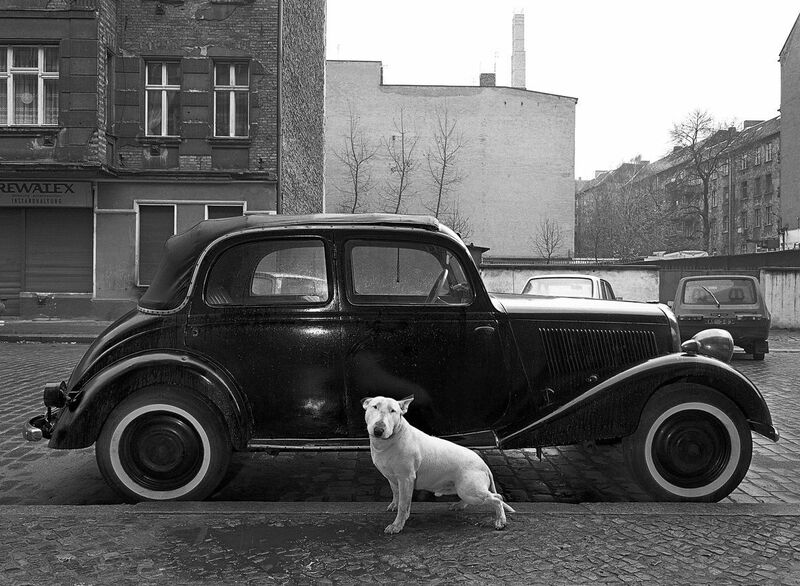 Rocky the bull terrier in front of a 1936 Mercedes. 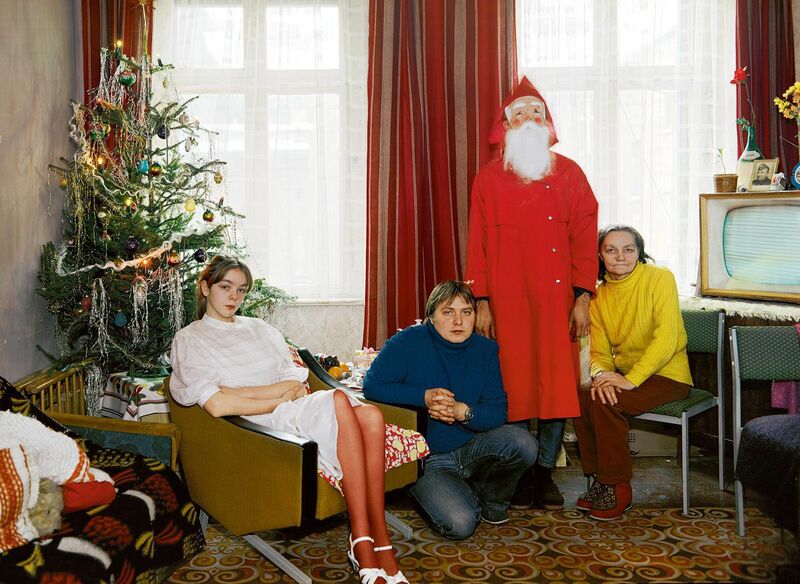 Margot Schulz, disabled retiree, with three of her fourteen children. 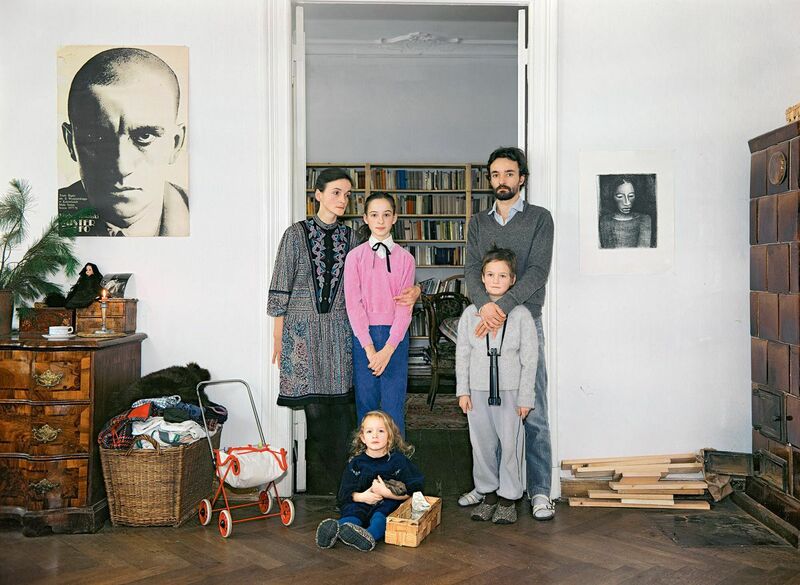 From left to right: Beate (freelancer) with her daughter Henriette, her partner Matthias (freelancer) with his son Gregor, and their daughter Lilly. 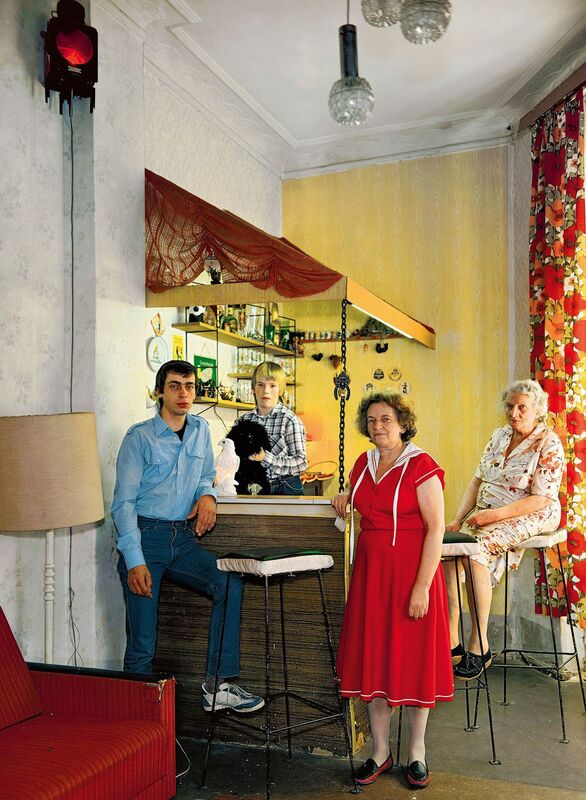 Ingeborg (front, cleaner), her son Lothar (left, carpenter), her grandson Guido and their grandmother.